We prepare your Divorce Forms! Answer the Questions... Get a Divorce! Our online divorce process is patent pending and second-to-none. Our service is unique in that we allow you to go through the entire online interview and complete the process with an easy payment option. If you are fully satisfied with your interview, you can then complete the payment checkout process and one of our Case Managers will thoroughly review your account and our software will compile all of your forms for you. We offer a 100% Money Back Guarantee. No fine print. No stipulations. No games. If divorce has become the only way forward for you and your spouse, iDivorceForms can make the online divorce process easier and faster than a traditional divorce. 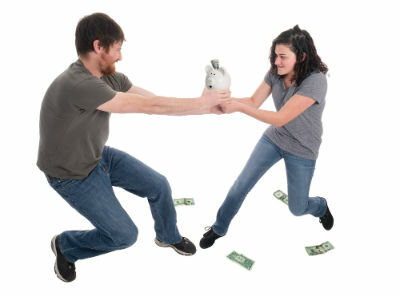 A traditional divorce requires paying attorney fees and time-consuming court hearings, which is unnecessary when the divorce is a mutual decision. iDivorceForms eliminates the need for costly attorneys and court hearings by providing spouses seeking an amicable, uncontested divorce with a simple three step divorce process. iDivorceForms is one of the leading online divorce websites due to our streamlined service, state-approved divorce forms, and knowledgeable staff. The iDivorceForms service simplifies the divorce process into three easy steps: register with us online, complete the online questionnaire, and file your divorce forms. To eliminate the guesswork, your divorce forms are filled out for you by iDivorceForms specialists. The divorce forms are then sent to your home by U.S. mail, or are available to download and print from your home. Then simply take the completed divorce forms and file them at your local courthouse and wait for the divorce to be granted. The iDivorceForms process makes this time in your life easier to overcome. Our online divorce specialists and customer support are able and ready to answer any questions you may have, as well as provide information about state specific divorce processes and papers. Along with our fast, accommodating service, our divorce forms come with a 100% court approval money back guarantee. Begin the registration process to see if you qualify for an online divorce today. Should You Date During the Divorce Process? What State is the Easiest to Get a Divorce In? What Does Having a Codependent Marriage Mean? "I am SO GLAD I can finally start a new chapter in my life. Thank you!" "This was an easy process and detailed. "